Brief Description of Subject: A series of three windows. The right window, L10, has an abstract background with three loaves of bread. 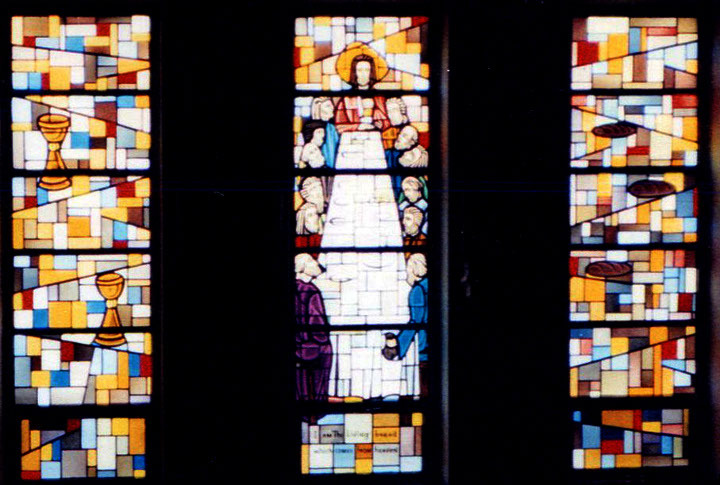 The middle window, shows the last supper and has an inscription at the bottom, “I am the living bread which comes from heaven.” The window on the left has an abstract background with two cups. Inscriptions: I am the living bread which comes from heaven.